Every year we seem to start earlier and earlier picking out our Halloween Costumes. I have 3 children, 2 girls and 1 boy. My son is still deciding and my youngest daughter said she wants to be a princess, but has not decided which one yet. My oldest daughter has already made her mind up though. She is our little tomboy with a girly side. She loves the Teenage Mutant Ninja Turtles. 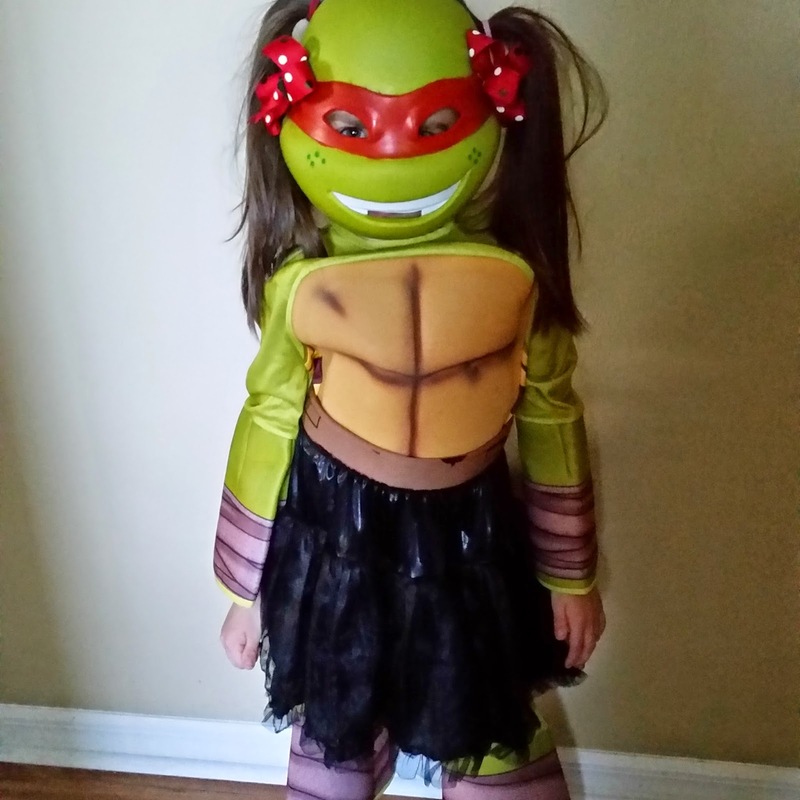 She decided that she wanted to be a Ninja Turtle this year. Of course we were all for it and could not wait to pick out her costume. If you know anything about the Ninja Turtles, that there are a total of 4. She does not have a favorite so that made it much easier when picking one out. She decided that she liked the orange one which name is Michaelangelo Birthday. It fit her absolutely perfect and looked great. 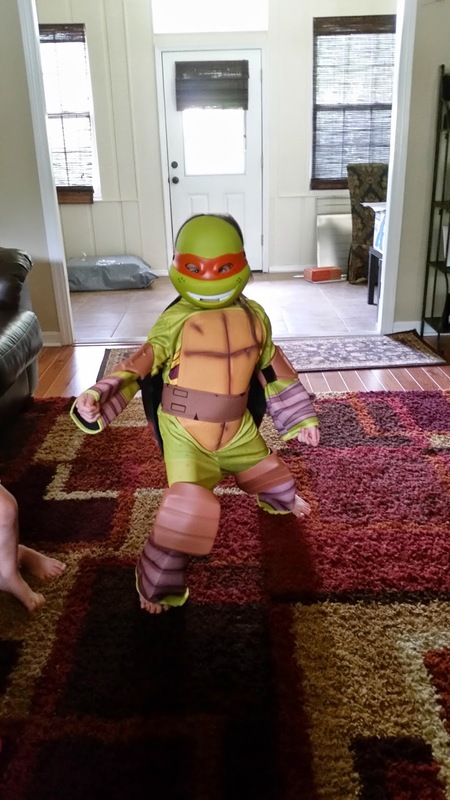 They have every detail imaginable on the costume so that she looks just like the Ninja Turtle. She said she wanted to make it a girly ninja turtle so we brainstormed to come up with something. The mask only goes around half way on her head. We decided to do two pony tails, one on each side of her head. We then have 2 bows with clips and we just clipped them on the side of the mask. She also had a black tutu skirt that she uses for dress up and we simply put it over the bottom of the costume. We think the final look came out great and most certaintely does look like a girly ninja turtle. She couldn't be happier with the outcome and will be playing dress up with it until Halloween this year. If you are in need of a Halloween Costume for this year then we highly suggest you visit their site. They have a HUGE variety of costumes to choose from. This particular costume can be found in Boys TV and Movie Section.